Professor Gavaises graduated from the department of mechanical engineering of the National Technical University of Athens (NTUA) in 1992 and received his PhD from the Department of mechanical engineering of Imperial College London in 1997. For his PhD Thesis he was awarded with the 1998 Richard Way Prize for 'Most outstanding doctoral thesis in the area of IC engines in the UK from the Universities Internal Combustion Engines Group (UnICEG) and the Arch T. Collwell Merit Award from the Society of Automotive Engineers (SAE). After a few years of post-doctoral research at Imperial College London, he was appointed lecturer at the School of Engineering and Mathematical Sciences of City University London in 2001, promoted to Reader in 2006 and Professor in 2009. Following his promotion to Professor, he was appointed Director of the Thermo-Fluids Research Centre at City University London. Between 2009-2013 he was holding the Delphi Diesel Systems Chair in FIE Fluid Dynamics. In 2011, with co-workers from City University, Loughborough University and TU Delft he co-established and directs the 1st International Institute of Cavitation Research, supported by The Lloyd’s Register Foundation. He is the associate editor for Europe for the International Journal of Engine Research. He has published over 180 papers in scientific journal and peer reviewed conference proceedings. DIC Mechanical Engineering, Computational Fluid Dynamics, Imperial College London, 1997. PhD Mechanical Engineering, Computational Fluid Dynamics, Imperial College London, 1997. Diploma (5 years) Mechanical Engineering, National Technical University of Athens (NTUA),1992. - 2015 Institute of Mathematics & its Applications (IMA), Fellow. - 1999-present: Society of Automotive Engineers, Member. - 1993-present: Technical Chamber of Greece, Member. - 2015-present: Associate Editor for Europe, International Journal of Engine Research, and member of the Editorial Board. - 2012-present: Interfacial Phenomena and Heat Transfer, member of the Editorial Board. - 2010-present: Applied Mathematics, member of the Editorial Board. - 2007-present: Atomisation & Sprays Journal, Member of the Scientific Board and Executive Committee. Prof Gavaises was the sole organiser and chairman of the 2013 ILASS-Europe conference. He has been the organiser of a special session on fuel systems, fuels and lubricants during the 2015 Cavitation Symposium (CAV2015, EPFL). He also serves on the organisation committee of the 2018 Cavitation Symposium. He is the founder/chairman of the annual IICR Cavitation Workshop; relevant information about the last two events can be found on www.iicr2016.net and www.iicr2017.net. In addition, he has been in the organisation committee of ILASS-Europe in 2014, 2016 and 2017 conferences; the SIA Diesel Powertrain conferences in 2010, 2012, 2014 and 2016; and the IMechE conference for Fuel Systems in 2009, 2012 and 2015. Prof Gavaises is working on the development and implementation of complex multi-phase flow models and explores with academic and industrial partners their applications in many areas. Prof Gavaises has developed numerous numerical codes, covering a range of Mach numbers from subsonic to hypersonic, interface capturing methods, phase interactions and phase-change processes. Special focus has been given on thermodynamic modelling of complex fluids (e.g. non-ideal fluids and their mixtures, viscoelastic fluids) and states (e.g. all the thermodynamic map including vapour, liquid, supercritical fluid and metastable states) using the Helmholtz Equation of State (EoS) and more recently, the Perturbed Chain - Statistical Associating Fluid Theory (PC-SHAFT) equations of state, coupled with compressible solvers of the N-S equations. Effects of cavitation on erosion/durability of fuel injection systems and atomisation, as well as viscoelastic fuel additive effects on cavitation have been explored. At fundamental level, DNS of cavitation and bubble dynamics under non-isothermal conditions have been performed. At a more applied level, the PI has undertaken large eddy simulations (LES) of cavitation erosion in complex devises with moving boundaries considering the interaction with materials (such as cavitation erosion). His currently funded work focuses on direct numerical simulations (DNS) of cavitation and bubble dynamics and their effect to (a) erosion of mechanical components (fuel injectors, hydrofoils, pumps, hydraulic turbines), (b) atomisation for a wide range of combustion systems (IC engines, gas turbines, oil burners, rocket engines) and (c) fuels and additives. His computational work is supported by in-house advanced experimental techniques. He is the co-inventor of an international patent for a cavitation erosion prevention methodology. In addition, the Prof Gavaise’s group has developed experimental test rigs for measuring cavitating flows in micro-channels at adverse pressure and temperature conditions. He is the co-inventor of an international patent on the development of the only so far 2000bar pressure flow rig with micro-transparent nozzle orifices. Experimental techniques such as laser diagnostics, X-ray computed tomography and X-ray Phase Contrast Imaging (XPCI), performed very recently at ANL. 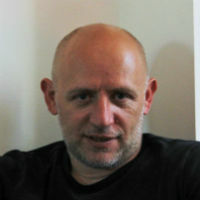 Moreover, Prof Gavaises has been closely involved in simulations in coronary arterial trees and mechanical heart valves using the immersed boundary method coupled with compressible/cavitating flow solvers and bio-chemical mechanisms predicting blood thrombus formation as function of the local flow and geometry conditions. In the relatively short period of 16 years of his academic career at CITY, Prof Gavaises has successfully supervised to the completion of 13 PhDs. He is currently supervising 23 doctoral students (14 internal at CITY and 9 external, who are based and conducting their research in industry sector). He has also taken on the external examiner roles of 10 PhD theses, of which, 5 national and 5 international. Regarding mentoring Post-docs/experienced researchers, Prof Gavaises not just simply mentors them, but also creates opportunities for hosting them, by obtaining external findings in the first place. Since 2011, he managed to obtain external funding, totalling over 610 person-months, to support 15 post-docs/experienced researchers to carry out their research and/or start their academic career at CITY. These fellowships include 2 Marie Skłodowska-Curie International Outgoing (IOF) projects, 2 Marie Skłodowska-Curie Intra-European (IEF) projects and one Marie Skłodowska-Curie Industry Academia Partnership Pathway (IAPP) project (FuelSystem3000) which was led by CITY and carried out in partnership with Univ. of Bergamo (IT), Perkins Engines UK and Caterpillar Fuel Systems in the US. He created academic opportunities by securing funding/mentoring for 4 young lecturers and one professor (Prof Bergeles 2013-2017) at CITY, in order to enhance the research and teaching base of the institution. With his capacity as PhD supervisor and the mentor of post-doctoral researchers he has contributed to the career of all of his researchers, that now hold academic, education or industrial position across Europe and the US. More specifically, eight of his researchers hold academic positions and the rest hold industrial positions, with the most senior ones in key managerial/strategic posts. Additionally, he is contributing to the career development of at least 45 Early-Stage Researchers via the 3 Horizon 2020 Marie Skłodowska-Curie Actions ITN projects that he currently coordinates. The PI has provided career opportunities of high quality, open to young researchers of any nationality and gender. He supports their career development and training through international and intersectoral mobility, aiming not only to train them but also to help them to develop positive European and wider international identities and a sense of belonging. Prof Gavaises is an active reviewer to all major scientific journals in his field. He is a registered Expert/Reviewer for the Marie Skłodowska-Curie Actions and the ERC Starting Grant. In addition, he acts as reviewer to various research councils, including EPSRC (UK research council) and the National Research Foundations of Switzerland and of France, Singapore, UAE and Qatar. Since 2012, Prof Gavaises has been the Coordinator of 9 EU-funded, 1 EPSRC (UK research council) and 6 industrial programmes (see list of active programmes below). The total grant awarded since 2012 from EU schemes is €16 million, of which, €6.15 million is awarded to CITY; and £1.35 million is from UK funders. The networks created for collaboration of academic institutions, industries and research centres that participate to the three EU-funded Marie Skłodowska-Curie Innovative Training Networks (the EU scheme for training of early-staged researchers/PhDs with ~15 partner institutions each form the EU and around the world)(‘CAFÉ’ www.cafe-project.eu, ‘HAOS’ www.haos-itn.eu, ‘IPPAD’ www.ippad-itn.eu) that he is currently leading is vast. The projects focus on collaboration in order to simulate research in cavitation and bubble dynamics, cavitation erosion, cavitation-induced atomisation and fuel and fuel additive effects in mechanical, automotive, marine, aerospace applications, as well as artificial heart valves. The EU-based academic beneficiary partners of these programmes include: TU Munich (GE), EPFL (Switzerland), University of Grenoble (FR), TU Delft (NL), Imperial College London (UK), University College London (UK), Stuttgart University (GE), Chalmers University (Sweden), University of Rouen (FR), CERTH (GR), University of Erlangen-Nuremburg (GE), Lund University (Sweden), IFPEN (FR). The EU-based industrial beneficiary partners include: AVL List (AT), Wartsila (NL), Delphi Diesel Systems (UK), Hitachi-Mitsubishi Power Industries (GE), Delphi Automotive Systems (LU), Afton Chemicals (UK), Perkins Engines (UK). In addition a number of both universities and industries worldwide participate to these programmes as Partners, including: NTU (Singapore), Johns Hopkins University (US), Virginia Commonwealth University (US), Arizona State University (US), University of Melbourne (Australia), Shanghai Jiang Tong University (China), KAIST (S.Korea), Argonne National Laboratories (US), Sandia National Laboratories (US), Andriz Hydro (Switzerland), Rolls Royce (UK), DLR (GE), Rolls Royce Aero Engines (GE), BP (UK), OMV (AT), Renault (FR) Volvo Cars (Sweden), Caterpillar Fuel Systems (US). These ITN programmes he coordinates fund currently in total 46 early career researchers (PhD students) worldwide. Regarding principal industrial collaborators at CITY, it includes: Delphi Diesel Systems, UK and Luxemburg (2002-present), Caterpillar Fuel Systems US and Perkins Engines, US (2005-present), Lubrizol, UK (2012-present) and BP/Castrol (2012-present), Isuzu, Japan (2017), Afton Chemical Corporation, US (2012-2013); Denso Japan (2013); Toyota Motor Europe, Belgium (2002-2009); MAN B&W, Denmark (2002-2005), Siemens VDO, Italy (2002-2004); BMW, Germany (2002-2003); Nissan Motor Company, Japan (2001-2003); Yamaha Motor Company, Japan (1999-2002); Renault France (1999-2001); Ford US & Ford Research Centre at Aachen, Germany (1998-2001). Within the UK, Prof Gavaises has established work with the University of Brighton (joint UK EPSRC grant), Imperial College and University College London (on joint EU project) and Loughborough University (IICR partner). 5. 2014-2017. EPSRC / Brighton University and BP 'Investigation of Non-Spherical Droplets in High-Pressure Fuel Sprays'. 6. 2011-2017. The Lloyd’s Register Foundation, UK, 'The International Institute on Cavitation Research'. 7. 2014-2017. Lubrizol Ltd UK, 'Additives & cavitation'. 2013-2016. EU Marie Curie-IAPP FuelSystem3000 (ID:324313): 'Simulation of cavitation and erosion in fuel injection systems of medium/heavy duty Diesel engines at injection pressures reaching 3000bar'. 2014-2017. Marie Curie IOF (ID:329286), 'Cavitation bubble cloud dynamics and surface erosion in high pressure fuel systems for medium/heavy duty Diesel engines'. 2014-2016. Marie Curie-IEF (ID:329116), 'Understanding non-spherical droplet vaporisation of single-component hydrocarbon fuels and multi-component biofuel blends'. 2012-2016. ERC Marie Curie-IOF (ID:300410), 'Fuel Additives Effect on Fuel Injector Design'. Mitroglou, N., Gavaises, M. and Arcoumanis, D. (2012). Spray stability from VCO and a new diesel nozzle design concept. Fuel Systems for IC Engines (pp. 279–290). ISBN 978-0-85709-210-6. Vidal Roncero, A., Koukouvinis, F. and Gavaises, M. (2018). On the effect of realistic multicomponent diesel surrogates on cavitation and in-nozzle flow. Fuel systems: engines: Inject your ideas, Fuel your technology 4-5 December, London, UK. Brunhart, M., Soteriou, C., Daveau, C., Gavaises, E., Koukouvinis, P. and Winterbourn, M. (2018). Investigation on the removal of the cavitation erosion risk in a control orifice inside a prototype diesel injector. Fuel Systems - Engines 4-5 December, London. Gavaises, E., Cristofaro, M., Koukouvinis, F. and Edelbauer, W. (2018). Large Eddy Simulation of the internal injector flow during pilot injection. 10TH INTERNATIONAL SYMPOSIUM ON CAVITATION 14-18 May, Baltimore, USA. Brunhart, M., Koukouvinis, F., Gavaises, E., Soteriou, C. and Daveau, C. (2018). Initial findings of an investigation on the removal of the cavitation erosion risk in a prototype control orifice inside a diesel injector. 10TH INTERNATIONAL SYMPOSIUM ON CAVITATION 14-18 May, Baltimore, USA. Stavropoulos-Vasilakis, E., Koukouvinis, F., Gavaises, E. and Farhat, M. (2018). Cavitation Induction by Projectile Impacting on a Water Jet. 10TH INTERNATIONAL SYMPOSIUM ON CAVITATION 14-18 May, Baltimore, USA. Vidal Roncero, A., Gavaises, M., Rodriguez, C. and Koukouvinis, F. (2018). Effect of realistic multicomponent diesel surrogates on predicted in-nozzle flow and cavitation. Kyriazis, N., Koukouvinis, P., Gavaises, M., Pearson, R. and Gold, M. (2018). Heating Effects During Bubble Collapse Using Tabulated Data. Fostiropoulos, S.R., Malgarinos, I., Strotos, G., Nikolopoulos, N., Kakaras, E., Koukouvinis, P. … Gavaises, M. (2017). Numerical investigation of the role of heat transfer in bubble dynamics. ILASS2017 - 28th European Conference on Liquid Atomization and Spray Systems 6-8 September. Stefanitsis, D., Malgarinos, I., Strotos, G., Nikolopoulos, N., Kakaras, E. and Gavaises, M. (2017). Numerical investigation of the aerodynamic breakup of diesel droplets under various gas pressures. ILASS2017 - 28th European Conference on Liquid Atomization and Spray Systems 6-8 September. Rodriguez, C., Vidal, A., Koukouvinis, P. and Gavaises, M. (2017). Supercritical and transcritical real-fluid mixing using the PC-SAFT EOS. ILASS2017 - 28th European Conference on Liquid Atomization and Spray Systems 6-8 September. Cristofaro, M., Edelbauer, W., Gavaises, M. and Koukouvinis, P. (2017). Numerical simulation of compressible cavitating two-phase flows with a pressure-based solver. ILASS2017 - 28th European Conference on Liquid Atomization and Spray Systems 6-8 September. Abokhedr, M., Vogiatzaki, K., Mitroglou, N. and Gavaises, E. (2015). A numerical simulation of single and two-phase flow in porous media: A pore sale observation of effective microscopic forces. 6th Beta CAE International Conference 10-12 June, Thessaloniki, Greece. Gavaises, E., Marengo, M., Antonini, C., Nikolopoulos, N. and Malgarinos, I. (2013). Numerical investigation of droplet impingement onto hydrophobic and super-hydrophobic solid surfaces. The effect of Weber number and wettability. 25th ILASS-Europe 1-4 September, Chania, Greece. Gavaises, E., Papadopoulos, K. and Mitroglou, N. (2013). Numerical simulation of blood flow in LAD models with different degrees and location of stenosis. 5th BETA-CAE Conference 5-7 June, Thessaloniki, Greece. Gavaises, E., Theodorakos, A. and Mitroglou, N. (2013). Simulation of heating effects caused by fuel pressurisation at 3000bar in Diesel fuel injectors. 11th Engine Combustion Processes 14-15 March, Ludwigsburg, Germany. Gavaises, E., Theodorakakos, A. and Mitroglou, N. (2012). Simulation of heating effects caused by extreme fuel pressurisation in cavitating flows through Diesel fuel injectors. Proceedings of the 8th International Symposium on Cavitation 13-16 August, Singapore. Gavaises, E., Mitroglou, N. and Theodorakakos, A. (2012). Cavitation simulation and experimental verification using a new Diesel nozzle design concept. SIA International Conference on Diesel Powertrains 5-6 June, Rouen, France. Gavaises, E. and Mitroglou, N. (2012). Spray stability from VCO and a new Diesel nozzle design concept. IMechE Conference of Fuel Injection Systems for IC Engines 14-15 March, London. Tonini, S., Cossali, G.E. and Gavaises, M. (2011). Modelling of Transport Phenomena in Diesel Sprays at Late-Cycle Post-Injection Conditions. 11th ICE Conference, Paper No 0328 11-15 September, Capri-Naples, Italy. Tonini, S., Theodorakakos, A., Gavaises, M. and Cossali, G.E. (2011). Effect of nozzle geometry on the numerical prediction of water-mist spray formation. ILASS – Europe 2011, 24th Annual Conference on Liquid Atomization and Spray Systems 5-7 September, Estoril, Portugal. Mitroglou, N., Gavaises, M. and Theodorakakos, A. (2011). Geometry meshing, cavitation simulation and experimental verification using a new Diesel design nozzle concept. 4th International BETA-CAE Conference June, Thessaloniki. Gavaises, M. and Mitroglou, N. (2010). Aspects of cavitation in Diesel fuel injector nozzles. ΡΟΗ 2010, 7th Hellenic Conference of Flow Phenomena 12-13 November, Thessaloniki, Greece. Tonini, S., Gavaises, M., Theodorakakos, A. and Cossali, G.E. (2010). Modelling of spray injection from water mist fire suspension systems. 23rd Annual Conference on Liquid Atomization and Spray Systems September, Brno, Czech Republic. Simona, S., Gavaises, M. and Cossali, G.E. (2010). Prediction of liquid and vapour penetration of early-injection Diesel sprays. SAE Paper 2010-01-1129. Gavaises, M., Andriotis, A. and Arcoumanis, C. (2009). Complex cavitation structures in Diesel fuel injector nozzles. IMechE conference on “Injection Systems for IC Engines” 13-14 May, london. Gavaises, M. and Arcoumanis, C. (2009). Advances in cavitation research in Automotive fuel injectors. Invited paper, 9th SAOT International Workshop on Engine Combustion Processes 19-20 March, Munich, Germany. Giannadakis, E., Gavaises, M. and Theodorakakos, A. (2009). The influence of variable fuel properties in high pressure diesel injectors. SAE Paper 2009-01-0832. Papoutsakis, A., Theodorakakos, A., Giannadakis, E., Papoulias, D. and Gavaises, M. (2009). LES Predictions of the Vortical Flow Structures in Diesel Injector Nozzles. SAE Paper 2009-01-0833. Kopanidis, A., Theodorakakos, A., Gavaises, E. and Bouris, D. (2008). Direct modeling of the microscale flow through a PEM fuel cell GDL and channel. , 4th MicroFluidics French Conference, Paper No 180 12 December, Bologna, Italy. Strotos, G., Theodorakakos, A., Bergeles, G. and Gavaises, M. (2008). Influence of species concentration on the evaporation of suspended multicomponent droplets. 9-12 September, Como, Italy. Tonini, S., Gavaises, M., Theodorakakos, A. and Cossali, E.G. (2008). Effect of in-cylinder air thermodynamic conditions on the development of multiple injection Diesel sprays. 22nd Conference on Liquid Atomization and Spray Systems (ILASS-Europe) 9-12 September, Como, Italy. Gavaises, M., Papoulias, D., Giannadakis, E., Andriotis, A., Mitroglou, N. and Theodorakakos, A. (2008). Comparison of cavitation formation and development in Diesel VCO nozzles with cylindrical and converging tapered holes. THIESEL 2008 Conference on Thermo- and Fluid-Dynamic Processes in Diesel Engines 8-10 September, Valencia, Spain. Andriotis, A. and Gavaises, M. (2008). Visualization of String Cavitation Formation and Development inside Transparent Diesel Injector Nozzle Replicas. 8-10 September, Como, Italy. Kopanidis, A., Bouris, D., Theodorakakos, A. and Gavaises, M. (2008). Numerical Simulation of fluid flow and heat transfer with direct simulation of microscale geometry. 5th European Thermal Sciences Conf. EUROTHERM 18-22 May, Eindhoven, Germany. Strotos, G., Gavaises, M., Theodorakakos, A. and Bergeles, G. (2008). Evaporation of a suspended multi-component droplet under convective conditions. International Symposium on Computational Heat Transfer 11-16 May, Morocco. Spathopoulou, M., Papoulias, D., Giannadakis, E., Gavaises, M. and Theodorakakos, A. (2007). Influence of the Spatially Resolved Nozzle Hole Exit Flow Distribution on Diesel Spray Development. Proc. 7th International Conference ICE2007 Internal Combustion Engines: Experiments and Modelling, SAE Paper 2007-24-0025 17-20 September, Capri, Italy. Tonini, S., Giannadakis, E., Gavaises, M., Theodorakakos, A., Cossali, G.E. and Marengo, M. (2007). Effect of dwelt time on multi-component fuel vaporization of high-pressure diesel sprays injected from cylindrical and reverse tapered multi-hole nozzles. 10-12 September, Mugla, Turkey. Andriotis, A., Spathopoulou, M. and Gavaises, M. (2004). Effect of Nozzle Flow and Cavitation Structures on Spray Development in Low-speed Two-Stroke Diesel Engines. 25th CIMAC World Congress, International Council on Combustion Engines,Paper No 262 21 May 2007 – 24 May 2004, Vienna, Austria. Giannadakis, E., Papoulias, D., Gavaises, M., Arcoumanis, C., Soteriou, C. and Tang, W. (2007). Evaluation of the predictive capability of diesel nozzle cavitation models. SAE Paper 2007-01-0245. Gavaises, M., Papoulias, D., Andriotis, A., Giannadakis, E. and Theodorakakos, A. (2007). Link between cavitation development and erosion damage if Diesel fuel injector nozzles. SAE Paper 2007-01-0246. Papoulias, D., Giannadakis, E., Gavaises, M. and Theodorakakos, A. (2007). Cavitation in Fuel Injection Systems for Spray Guided Direct Injection Gasoline Engines. SAE Paper 2007-01-1418. Konstantinidis, I.C., Papadopoulos, D.P., Gavaises, M. and Tsipas, D.N. (2007). Fabrication methods and properties of open and closed cell foams. Tonini, S., Gavaises, M., Arcoumanis, C., Cossali, G.E. and Marengo, M. (2006). Modelling of spray characteristics from multi-hole injectors for direct-injection gasoline engines. 27 Aug 2006 – 1 Sep 2006, Kyoto, Japan. Strotos, G., Gavaises, M. and Bergeles, G. (2006). Parametric investigation of the evaporation of a droplet gently deposited on a heated surface. 2nd IC-SCCE Int. Conference “From Scientific Computing to Computational Engineering 5-8 July, Athens, Greece. Tonini, S., Gavaises, M., Arcoumanis, C., Cossali, G.E. and Marengo, M. (2006). Modelling of sprays from high-pressure nozzles for direct-injection gasoline engines. 24th National Congress UIT on Heat Transfer 21-23 June, Naples, Italy. Gavaises, M., Strotos, G., Theodorakakos, A., Bergeles, G. and Yanagihara, H. (2006). Cooling effectiveness of water droplets falling on a flat plate. Invited paper, DITICE workshop on drop/wall interaction: Industrial applications, Experiments and Modelling 19 May, University of Bergamo, Italy. Arcoumanis, C., Gavaises, M, , Strotos, G., Theodorakakos, A. and Bergeles, G. (2006). Cooling effectiveness of water droplets falling on a flat plate. DITICE workshop on drop/wall interaction: Industrial applications, Experiments and Modelling, Invited Paper 19 May, University of Bergamo, Italy. Giannadakis, E., Gavaises, M., Roth, H. and Arcoumanis, C. (2006). Cavitation modelling based in single-hole injector based on Eulerian-Lagrangian approach. Tonini, S., Gavaises, M., Arcoumanis, C. and Theodorakakos, A. (2006). Prediction of Liquid and Vapour Penetration of High Pressure Diesel Sprays. SAE Paper 2006-01-0242. Ous, T., Nouri, J.M., Gavaises, M. and Arcoumanis, C. (2006). Experimental investigation on the performance of proton exchange membrane fuel cell (PEM) for high power and water management. Jinwook, L.E.E., Kyoungdoug, M.I.N., Kernyong, K.A.N.G., Gavaises, M. and Arcoumanis, C. (2005). Numerical and experimental analysis of unsteady cavitating nozzle flow and diesel spray characteristics in a high pressure piezo-driven injector. IPC-13 Int. Pacific Conference on Automotive Engineering,Paper No 71 22-24 August, Korea. Arcoumanis, C., Petropoulou, S., , Gavaises, M. and Theodorakakos, A. (2005). An Adjoint Method for Controlled Cavitation Inverse Nozzle Design. IPC-13 Int. Pacific Conference on Automotive Engineering, Paper No 360 22-24 August, Korea. Petropoulou, S., Gavaises, M. and Theodorakakos, A. (2005). An Adjoint method for controlled cavitation inverse nozzle design. 13th International Pacific Conference on Automotive Engineering August, Gyeongju, SOUTH KOREA. Giannadakis, E., Gavaises, M., Roth, H. and Arcoumanis, C. (2004). Cavitation Modelling based in Single-hole injector based on Eulerian-Lagrangian Approach. THIESEL 2004 Conference on Thermo- and Fluid-Dynamic Processes in Diesel Engines 10-13 September, Valencia, Spain. Gavaises, M. and Giannadakis, E. (2004). Modelling of cavitation in large-scale diesel injector nozzles. 6-8 September, Nottingham, UK. Arcoumanis, C., Gavaises, M., and Giannadakis, E. (2004). Modelling of cavitation in large-scale diesel injector nozzles. in 20th Annual Conference on Liquid Atomisation and Spray Systems (ILASS-Europe) 6-8 September, Nottingham, UK. Gavaises, M., Arcoumanis, C., Roth, H., Choi, Y.S. and Theodorakakos, A. (2004). Nozzle flow and spray development from VCO diesel injector nozzles. Gavaises, M., Tonini, S., Arcoumanis, C., Kometani, S. and Theodorakakos, A. (2003). Multi-component fuel vaporization and its effect on spray development and air-fuel mixing in gasoline direct injection engines. 5th International Conference ICE2003 Internal Combustion Engines: Experiments and Modelling 15-18 September, Capri-Naples, Italy. AboSerie, E., Gavaises, M. and Arcoumanis, C. (2003). Spray/wall interaction in direct-injection spark-ignition engines equipped with multi-hole injectors. 9th Int. Conf. on Liquid Atomisation and Spray Systems (ICLASS) 13-17 July, Sorento, Italy. Gavaises, M., Arcoumanis, C., Roth, H., Choi, Y.S. and Theodorakakos, A. (2004). Nozzle flow and spray development from VCO diesel injector nozzles. Thiesel 2002 Conference on Thermo - and Fluid Dynamic Processes in Diesel Engines 11 Sep 2002 – 15 Sep 2002, Valencia, SPAIN. Arcoumanis, C., Gavaises, M., , Roth, H., Choi, Y.S. and Theodorakakos, A. (2002). Nozzle flow and spray development from VCO diesel injector nozzles. in THIESEL 2002 Conference on Thermo- and Fluid-Dynamic Processes in Diesel Engines 11-15 September, Valencia, Spain. Gavaises, M., Arcoumanis, C., Theodorakakos, A. and Bergeles, G. (2001). Structure of High Pressure Diesel Sprays. 4th International Conference ICE2001 Internal Combustion Engines: Experiments and Modelling 23-26 September, Capri-Naples, Italy. Arcoumanis, C., Gavaises, M., Flora, H. and Roth, H. (2000). Visualisation of Cavitation in Diesel Engine Injectors. presented in 1st Int. Congress on micro-hydro-dynamics 15-16 October, Paris, France. Abo-Serie, E., Arcoumanis, C. and Gavaises, M. (2000). Spray characteristics of pressure-swirl atomisers for G-DI engines: phase Doppler measurements. 16th Annual Conference on Liquid Atomisation and Spray Systems (ILASS-Europe) 11-13 September, Darmstadt, Germany. Gavaises, M. and Arcoumanis, C. (2000). Flow in Diesel injector nozzles. Invited paper, 3rd Symposium Towards Clean Diesel Engines, IFP 15-16 June, Paris, France. Gavaises, M., Yamanishi, M., Yamada, S. and Nakahira, T. (2000). Modelling the effect of in-line pump-based fuel injection system characteristics for small industrial DI diesel engines on spray development’. F2000A056, FISITA World Automotive Congress 12-15 June, Seoul, Korea. Arcoumanis, C., Cho, S.T., Gavaises, M. and Yi, H.S. (2000). Spray and combustion development in a four-valve HSDI optical diesel engine. SAE Paper 2000-01-1183. Afzal, H., Arcoumanis, C., Gavaises, M. and Kampanis, N. (1999). Internal flow in diesel injector nozzles - modelling and experiments. Conference on Fuel Injection Systems 1-2 December, INST MECH ENGN, LONDON, ENGLAND. Gavaises, M., Arcoumanis, C., Callitsis, T. and Bergeles, G. (1999). Modelling of sprays from asymmetric single-hole sac-type nozzles. 4th International Conference ICE99 Internal Combustion Engines: Experiments and Modelling 12-15 September, Capri-Naples, Italy. Abo-Serie, E., Arcoumanis, C., Gavaises, M., Argueyrolles, B. and Galzin, F. (1999). Structure of sprays generated by pressure swirl injectors for direct-injection gasoline engines. 15th Annual Conference on Liquid Atomisation and Spray Systems (ILASS-Europe) 5-7 July, Toulouse, France. Gavaises, M. and Arcoumanis, C. (1998). Flow in fuel injection systems for DI Diesel engines. Invited Paper 24-26 November, Hiroshima, Japan. Arcoumanis, C. and Gavaises, M. (1998). Cavitation in Diesel injectors: modelling and experiments. 14th Annual Conference on Liquid Atomisation and Spray Systems (ILASS-Europe) 6-8 July, Manchester, UK. Arcoumanis, C., Gavaises, M., Flora, H., Yamanishi, M. and Nomura, T. (1997). Effect of in-line pump design parameters on nozzle exit characteristics. 13th Annual Conference on Liquid Atomisation and Spray Systems (ILASS-Europe) 9-11 July, Florence, Italy. Assanis, D., Gavaises, M. and Bergeles, G. (1993). Calibration and validation of the Taylor Analogy Break-up (TAB) model for diesel spray calculations. ASME 93-ICE-11, Energy Sources Technology Conference and Exhibition 31 Jan 1993 – 4 Feb 1993, Houston, USA. Mithun, M.G., Koukouvinis, P., Karathanassis, I.K. and Gavaises, M. (2019). Numerical simulation of three-phase flow in an external gear pump using immersed boundary approach. Applied Mathematical Modelling, 72, pp. 682–699. doi:10.1016/j.apm.2019.03.022 . Rokni, H.B., Moore, J.D., Gupta, A., McHugh, M.A. and Gavaises, M. (2019). Entropy scaling based viscosity predictions for hydrocarbon mixtures and diesel fuels up to extreme conditions. Fuel pp. 1203–1213. doi:10.1016/j.fuel.2018.12.043 . Stefanitsis, D., Strotos, G., Nikolopoulos, N., Kakaras, E. and Gavaises, M. (2019). Improved droplet breakup models for spray applications. International Journal of Heat and Fluid Flow, 76, pp. 274–286. doi:10.1016/j.ijheatfluidflow.2019.02.010 . Stavropoulos Vasilakis, E., Kyriazis, N., Koukouvinis, P., Farhat, M. and Gavaises, M. (2019). Cavitation Induction by Projectile Impacting on a Water Jet. International Journal of Multiphase Flow. doi:10.1016/j.ijmultiphaseflow.2019.03.001 . Rokni, H.B., Moore, J.D., Gupta, A., McHugh, M.A., Mallepally, R.R. and Gavaises, M. (2019). General method for prediction of thermal conductivity for well-characterized hydrocarbon mixtures and fuels up to extreme conditions using entropy scaling. Fuel. doi:10.1016/j.fuel.2019.02.044 . Rodriguez, C., Koukouvinis, P. and Gavaises, M. (2019). Simulation of supercritical diesel jets using the PC-SAFT EoS. Journal of Supercritical Fluids pp. 48–65. doi:10.1016/j.supflu.2018.11.003 . Rowane, A.J., Mallepally, R.R., Gupta, A., Gavaises, M. and MHugh, M.A. (2019). High-Temperature, High-Pressure Viscosities and Densities of n-Hexadecane, 2,2,4,4,6,8,8-Heptamethylnonane, and Squalane Measured Using a Universal Calibration for a Rolling-Ball Viscometer/Densimeter. Industrial & Engineering Chemistry Research. doi:10.1021/acs.iecr.8b05952 . Kyriazis, N., Koukouvinis, P. and Gavaises, M. (2019). Numerical investigations on bubble-induced jetting and shock wave focusing: Application on a needle-free injection. Proceedings of the Royal Society A: Mathematical, Physical and Engineering Sciences, 475(2222). doi:10.1098/rspa.2018.0548 . Rokni, H.B., Gupta, A., Moore, J.D., McHugh, M.A., Bamgbade, B.A. and Gavaises, M. (2019). Purely predictive method for density, compressibility, and expansivity for hydrocarbon mixtures and diesel and jet fuels up to high temperatures and pressures. Fuel, 236, pp. 1377–1390. doi:10.1016/j.fuel.2018.09.041 . Gold, M., Pearson, R., Turner, J., Sykes, D., Stetsyuk, V., De Sercey, G. … Gavaises, M. (2019). Simulation and Measurement of Transient Fluid Phenomena within Diesel Injection. SAE Technical Papers, 2019-January(January). doi:10.4271/2019-01-0066 . Rodriguez, C., Vidal, A., Koukouvinis, P., Gavaises, M. and McHugh, M.A. (2018). Simulation of transcritical fluid jets using the PC-SAFT EoS. Journal of Computational Physics, 374, pp. 444–468. doi:10.1016/j.jcp.2018.07.030 . Kyriazis, N., Koukouvinis, P. and Gavaises, M. (2018). Modelling cavitation during drop impact on solid surfaces. Advances in Colloid and Interface Science, 260, pp. 46–64. doi:10.1016/j.cis.2018.08.004 . Koukouvinis, P., Kyriazis, N. and Gavaises, M. (2018). Smoothed particle hydrodynamics simulation of a laser pulse impact onto a liquid metal droplet. PLoS ONE, 13(9). doi:10.1371/journal.pone.0204125 . Zeng, Q., Gonzalez-Avila, S.R., Dijkink, R., Koukouvinis, P., Gavaises, M. and Ohl, C.D. (2018). Wall shear stress from jetting cavitation bubbles. Journal of Fluid Mechanics, 846, pp. 341–355. doi:10.1017/jfm.2018.286 . Koukouvinis, P., Strotos, G., Zeng, Q., Gonzalez-Avila, S.R., Theodorakakos, A., Gavaises, M. … Ohl, C.D. (2018). Parametric Investigations of the Induced Shear Stress by a Laser-Generated Bubble. Langmuir, 34(22), pp. 6428–6442. doi:10.1021/acs.langmuir.8b01274 . Mithun, M.G., Koukouvinis, P. and Gavaises, M. (2018). Numerical simulation of cavitation and atomization using a fully compressible three-phase model. Physical Review Fluids, 3(6). doi:10.1103/PhysRevFluids.3.064304 . Aboukhedr, M., Georgoulas, A., Marengo, M., Gavaises, M. and Vogiatzaki, K. (2018). Simulation of micro-flow dynamics at low capillary numbers using adaptive interface compression. Computers and Fluids, 165, pp. 13–32. doi:10.1016/j.compfluid.2018.01.009 . Naseri, H., Koukouvinis, P., Malgarinos, I. and Gavaises, M. (2018). On viscoelastic cavitating flows: A numerical study. Physics of Fluids, 30(3). doi:10.1063/1.5011978 . Strotos, G., Malgarinos, I., Nikolopoulos, N., Gavaises, M., Nikas, K.S. and Moustris, K. (2018). Determination of the aerodynamic droplet breakup boundaries based on a total force approach. International Journal of Heat and Fluid Flow, 69, pp. 164–173. doi:10.1016/j.ijheatfluidflow.2018.01.001 . Stefanitsis, D., Malgarinos, I., Strotos, G., Nikolopoulos, N., Kakaras, E. and Gavaises, M. (2018). Numerical investigation of the aerodynamic breakup of droplets in tandem. International Journal of Multiphase Flow. doi:10.1016/j.ijmultiphaseflow.2018.10.015 . Vidal, A., Rodriguez, C., Koukouvinis, P., Gavaises, M. and McHugh, M.A. (2018). Modelling of Diesel fuel properties through its surrogates using Perturbed-Chain, Statistical Associating Fluid Theory. International Journal of Engine Research. doi:10.1177/1468087418801712 . Papadopoulos, K.P., Gerotziafas, G.T. and Gavaises, M. (2017). Modelling of thrombin generation under flow in realistic left anterior descending geometries. Medical Engineering and Physics, 50, pp. 50–58. doi:10.1016/j.medengphy.2017.10.001 . Stefanitsis, D., Malgarinos, I., Strotos, G., Nikolopoulos, N., Kakaras, E. and Gavaises, M. (2017). Numerical investigation of the aerodynamic breakup of Diesel and heavy fuel oil droplets. International Journal of Heat and Fluid Flow, 68, pp. 203–215. doi:10.1016/j.ijheatfluidflow.2017.10.012 . Koukouvinis, P., Mitroglou, N., Gavaises, M., Lorenzi, M. and Santini, M. (2017). Quantitative predictions of cavitation presence and erosion-prone locations in a high-pressure cavitation test rig. Journal of Fluid Mechanics, 819, pp. 21–57. doi:10.1017/jfm.2017.156 . Koukouvinis, P., Naseri, H. and Gavaises, M. (2017). Performance of turbulence and cavitation models in prediction of incipient and developed cavitation. International Journal of Engine Research, 18(4), pp. 333–350. doi:10.1177/1468087416658604 . Malgarinos, I., Nikolopoulos, N. and Gavaises, M. (2017). Numerical investigation of heavy fuel droplet-particle collisions in the injection zone of a Fluid Catalytic Cracking reactor, part II: 3D simulations. Fuel Processing Technology, 156, pp. 43–53. doi:10.1016/j.fuproc.2016.09.012 . Malgarinos, I., Nikolopoulos, N. and Gavaises, M. (2017). Numerical investigation of heavy fuel droplet-particle collisions in the injection zone of a Fluid Catalytic Cracking reactor, Part I: Numerical model and 2D simulations. Fuel Processing Technology, 156, pp. 317–330. doi:10.1016/j.fuproc.2016.09.014 . Lorenzi, M., Mitroglou, N., Santini, M. and Gavaises, M. (2017). Novel experimental technique for 3D investigation of high-speed cavitating diesel fuel flows by X-ray micro computed tomography. Review of Scientific Instruments, 88(3). doi:10.1063/1.4978795 . Kyriazis, N., Koukouvinis, P. and Gavaises, M. (2017). Numerical investigation of bubble dynamics using tabulated data. International Journal of Multiphase Flow, 93, pp. 158–177. doi:10.1016/j.ijmultiphaseflow.2017.04.004 . Strotos, G., Malgarinos, I., Nikolopoulos, N. and Gavaises, M. (2016). Aerodynamic breakup of an n-decane droplet in a high temperature gas environment. Fuel, 185, pp. 370–380. doi:10.1016/j.fuel.2016.08.014 . Strotos, G., Malgarinos, I., Nikolopoulos, N. and Gavaises, M. (2016). Predicting the evaporation rate of stationary droplets with the VOF methodology for a wide range of ambient temperature conditions. International Journal of Thermal Sciences, 109, pp. 253–262. doi:10.1016/j.ijthermalsci.2016.06.022 . Mitroglou, N., Lorenzi, M., Santini, M. and Gavaises, M. (2016). Application of X-ray micro-computed tomography on high-speed cavitating diesel fuel flows. Experiments in Fluids, 57(11). doi:10.1007/s00348-016-2256-z . Strotos, G., Malgarinos, I., Nikolopoulos, N. and Gavaises, M. (2016). Predicting droplet deformation and breakup for moderate Weber numbers. International Journal of Multiphase Flow, 85, pp. 96–109. doi:10.1016/j.ijmultiphaseflow.2016.06.001 . Malgarinos, I., Nikolopoulos, N. and Gavaises, M. (2016). A numerical study on droplet-particle collision dynamics. International Journal of Heat and Fluid Flow, 61, pp. 499–509. doi:10.1016/j.ijheatfluidflow.2016.06.010 . Strotos, G., Malgarinos, I., Nikolopoulos, N. and Gavaises, M. (2016). Numerical investigation of aerodynamic droplet breakup in a high temperature gas environment. Fuel, 181, pp. 450–462. doi:10.1016/j.fuel.2016.04.126 . Papadopoulos, K.P., Gavaises, M., Pantos, I., Katritsis, D.G. and Mitroglou, N. (2016). Derivation of flow related risk indices for stenosed left anterior descending coronary arteries with the use of computer simulations. Medical Engineering and Physics, 38(9), pp. 929–939. doi:10.1016/j.medengphy.2016.05.016 . Koukouvinis, P., Gavaises, M., Li, J. and Wang, L. (2016). Large Eddy Simulation of Diesel injector including cavitation effects and correlation to erosion damage. Fuel, 175, pp. 26–39. doi:10.1016/j.fuel.2016.02.037 . Koukouvinis, P., Gavaises, M., Supponen, O. and Farhat, M. (2016). Simulation of bubble expansion and collapse in the vicinity of a free surface. Physics of Fluids, 28(5), pp. 52103–52103. doi:10.1063/1.4949354 . Koukouvinis, P., Gavaises, M., Supponen, O. and Farhat, M. (2016). Numerical simulation of a collapsing bubble subject to gravity. Physics of Fluids, 28(3). doi:10.1063/1.4944561 . Koukouvinis, P., Gavaises, M., Georgoulas, A. and Marengo, M. (2016). Compressible simulations of bubble dynamics with central-upwind schemes. International Journal of Computational Fluid Dynamics, 30(2), pp. 129–140. doi:10.1080/10618562.2016.1166216 . Mitroglou, N., Lorenzi, M., Santini, M., Gavaises, M. and Assanis, D. (2015). Application of cone-beam micro-CT on high-speed Diesel flows and quantitative cavitation measurements. Journal of Physics: Conference Series, 656(1). doi:10.1088/1742-6596/656/1/012094 . Reid, B.A., Gavaises, M., Mitroglou, N., Hargrave, G.K., Garner, C.P. and McDavid, R.M. (2015). String cavitation formation inside fuel injectors. Journal of Physics: Conference Series, 656(1). doi:10.1088/1742-6596/656/1/012099 . Koukouvinis, P., Gavaises, M., Li, J. and Wang, L. (2015). Large Eddy Simulation of diesel injector opening with a two phase cavitation model. Journal of Physics: Conference Series, 656(1). doi:10.1088/1742-6596/656/1/012088 . Naseri, H., Koukouvinis, P. and Gavaises, M. (2015). Evaluation of Turbulence Models Performance in Predicting Incipient Cavitation in an Enlarged Step-Nozzle. Journal of Physics: Conference Series, 656(1). doi:10.1088/1742-6596/656/1/012095 . Salemi, R., Koukouvinis, P., Strotos, G., McDavid, R., Wang, L., Li, J. … Gavaises, M. (2015). Evaluation of friction heating in cavitating high pressure Diesel injector nozzles. Journal of Physics: Conference Series, 656(1). doi:10.1088/1742-6596/656/1/012083 . Koukouvinis, P., Gavaises, M., Georgoulas, A. and Marengo, M. (2015). Compressible bubble dynamic simulations with central-upwind schemes. Journal of Physics: Conference Series, 656(1). doi:10.1088/1742-6596/656/1/012087 . Koukouvinis, P. and Gavaises, M. (2015). Simulation of throttle flow with two phase and single phase homogenous equilibrium model. Journal of Physics: Conference Series, 656(1). doi:10.1088/1742-6596/656/1/012086 . Papoulias, D. and Gavaises, M. (2015). Modelling of single bubble-dynamics and thermal effects. Journal of Physics: Conference Series, 656(1). doi:10.1088/1742-6596/656/1/012098 . Georgoulas, A., Koukouvinis, P., Gavaises, M. and Marengo, M. (2015). Numerical investigation of quasi-static bubble growth and detachment from submerged orifices in isothermal liquid pools: The effect of varying fluid properties and gravity levels. International Journal of Multiphase Flow, 74, pp. 59–78. doi:10.1016/j.ijmultiphaseflow.2015.04.008 . Gavaises, M., Villa, F., Koukouvinis, P., Marengo, M. and Franc, J.P. (2015). Visualisation and les simulation of cavitation cloud formation and collapse in an axisymmetric geometry. International Journal of Multiphase Flow, 68, pp. 14–26. doi:10.1016/j.ijmultiphaseflow.2014.09.008 . Malgarinos, I., Nikolopoulos, N. and Gavaises, M. (2015). Coupling a local adaptive grid refinement technique with an interface sharpening scheme for the simulation of two-phase flow and free-surface flows using VOF methodology. Journal of Computational Physics, 300, pp. 732–753. doi:10.1016/j.jcp.2015.08.004 . Bergeles, G., Koukouvinis, F., Gavaises, M., Li, J. and Wang, L. (2015). An Erosion Aggressiveness Index (EAI) Based on Pressure Load Estimation Due to Bubble Collapse in Cavitating Flows Within the RANS Solvers. SAE International Journal of Engines, 8(5). doi:10.4271/2015-24-2465 . Papadopoulos, K.P., Gavaises, M. and Atkin, C. (2014). A simplified mathematical model for thrombin generation. Med Eng Phys, 36(2), pp. 196–204. doi:10.1016/j.medengphy.2013.10.012 . Mitroglou, N., McLorn, M., Gavaises, M., Soteriou, C. and Winterbourne, M. (2014). Instantaneous and ensemble average cavitation structures in Diesel micro-channel flow orifices. Fuel, 116, pp. 736–742. Reid, B.A., Gavaises, M., Mitroglou, N., Hargrave, G.K., Garner, C.P., Long, E.J. … McDavid, R.M. (2014). On the formation of string cavitation inside fuel injectors. Experiments in Fluids, 55(1). doi:10.1007/s00348-013-1662-8 . Malgarinos, I., Nikolopoulos, N., Marengo, M., Antonini, C. and Gavaises, M. (2014). VOF simulations of the contact angle dynamics during the drop spreading: Standard models and a new wetting force model. Advances in Colloid and Interface Science. doi:10.1016/j.cis.2014.07.004 . Malgarinos, I., Nikolopoulos, N., Marengo, M., Antonini, C. and Gavaises, M. (2014). VOF simulations of the contact angle dynamics during the drop spreading: Standard models and a new wetting force model. Advances in Colloid and Interface Science, 212, pp. 1–20. doi:10.1016/j.cis.2014.07.004 . Mitroglou, N. and Gavaises, M. (2013). Mapping of cavitating flow regimes in injectors for medium-/heavy-duty diesel engines. International Journal of Engine Research, 14(6), pp. 590–605. doi:10.1177/1468087413500491 . Arcoumanis, D. and Gavaises, M. (2013). Editorial: Special issue on cavitation in engine systems. International Journal of Engine Research, 14(6), pp. 541–542. doi:10.1177/1468087413514307 . Strotos, G., Gavaises, M., Theodorakakos, A. and Bergeles, G. (2011). Numerical investigation of the evaporation of two-component fuel droplets. FUEL, 90(4), pp. 1492–1507. doi:10.1016/j.fuel.2011.01.017 . Kopanidis, A., Theodorakakos, A., Gavaises, M. and Bouris, D. (2011). Pore scale 3D modelling of heat and mass transfer in the gas diffusion layer and cathode channel of a PEM fuel cell. INT J THERM SCI, 50(4), pp. 456–467. doi:10.1016/j.ijthermalsci.2010.11.014 . Strotos, G., Aleksis, G., Gavaises, M., Nikas, K.S., Nikolopoulos, N. and Theodorakakos, A. (2011). Non-dimensionalisation parameters for predicting the cooling effectiveness of droplets impinging on moderate temperature solid surfaces. International Journal of Thermal Sciences, 50, pp. 698–698. Kopanidis, A., Theodorakakos, A., Gavaises, E. and Bouris, D. (2010). 3D numerical simulation of flow and conjugate heat transfer through a pore scale model of high porosity open cell metal foam. INT J HEAT MASS TRAN, 53(11-12), pp. 2539–2550. doi:10.1016/j.ijheatmasstransfer.2009.12.067 . Nikolopoulos, N., Strotos, G., Nikas, K.S., Theodorakakos, A., Gavaises, M., Marengo, M. … Cossali, G.E. (2010). Experimental investigation of a single droplet impact onto a sessile drop. Atomization and Sprays, 20, pp. 909–909. Nikolopoulos, N., Strotos, G., Nikas, K.S., Theodorakakos, A., Gavaises, M., Marengo, M. … Cossali, G.E. (2010). Single droplet impacts onto deposited drops. Numerical analysis and comparison. Atomization and Sprays, 20, pp. 935–935. Tonini, S., Gavaises, M., Theodorakakos, A. and Cossali, G.E. (2010). Parametric Investigation of Multiple Injection on the Development of high-pressure Diesel Sprays. Proceeding of IMechE, Part D: Journal of Automobile Engineering, 224(D1), pp. 125–141. Gavaises, M., Andriotis, A., Papoulias, D., Mitroglou, N. and Theodorakakos, A. (2009). Characterization of string cavitation in Diesel nozzles with tapered holes. PHYS FLUIDS, 21(5). doi:10.1063/1.3140940 . Tonini, S., Gavaises, M. and Theodorakakos, A. (2009). The role of droplet fragmentation in high-pressure evaporating diesel sprays. International Journal of Thermal Sciences, 48(3), pp. 554–572. doi:10.1016/j.ijthermalsci.2008.03.020 . Andriotis, A. and Gavaises, M. (2009). INFLUENCE OF VORTEX FLOW AND CAVITATION ON NEAR-NOZZLE DIESEL SPRAY DISPERSION ANGLE. ATOMIZATION SPRAY, 19(2), pp. 247–261. Spathopoulou, M., Gavaises, M., Theodorakakos, A. and Yanagihara, H. (2009). FORMATION AND DEVELOPMENT OF WALL LIQUID FILMS DURING IMPACTION OF GASOLINE FUEL SPRAYS. ATOMIZATION SPRAY, 19(8), pp. 701–726. Andriotis, A. and Gavaises, M. (2009). INFLUENCE OF VORTEX FLOW AND CAVITATION ON NEAR-NOZZLE DIESEL SPRAY DISPERSION ANGLE. Atomization and Sprays, 19(3), pp. 247–261. doi:10.1615/atomizspr.v19.i3.30 . Gavaises, M. (2008). Flow in valve covered orifice nozzles with cylindrical and tapered holes and link to cavitation erosion and engine exhaust emissions. International Journal of Engine Research, 9(6), pp. 435–447. doi:10.1243/14680874JER01708 . Giannadakis, E., Papoulias, D., Theodorakakos, A. and Gavaises, M. (2008). Simulation of Cavitation in outwards opening pintle injectors. P I MECH ENG D-J AUT, 222(D10), pp. 1895–1910. doi:10.1243/09544070JAUTO728 . Theodorakakos, A., Gavaises, M., Andriotis, A., Zifan, A., Liatsis, P., Pantos, I. … Katritsis, D. (2008). Simulation of cardiac motion on non-Newtonian, pulsating flow development in the human left anterior descending coronary artery. Phys Med Biol, 53(18), pp. 4875–4892. doi:10.1088/0031-9155/53/18/002 . Andriotis, A., Gavaises, M. and Arcoumanis, C. (2008). Vortex flow and cavitation in diesel injector nozzles. Journal of Fluid Mechanics, 610, pp. 195–215. doi:10.1017/S0022112008002668 . Strotos, G., Gavaises, M., Theodorakakos, A. and Bergeles, G. (2008). Numerical investigation of the cooling effectiveness of a droplet impinging on a heated surface. International Journal of Heat and Mass Transfer, 51(19-20), pp. 4728–4742. doi:10.1016/j.ijheatmasstransfer.2008.02.036 . Tonini, S., Gavaises, M. and Theodorakakos, A. (2008). Modelling of high-pressure dense diesel sprays with adaptive local grid refinement. INT J HEAT FLUID FL, 29(2), pp. 427–448. doi:10.1016/j.ijheatfluidflow.2007.11.009 . Strotos, G., Gavaises, M., Theodorakakos, A. and Bergeles, G. (2008). Numerical investigation on the evaporation of droplets depositing on heated surfaces at low Weber numbers. INT J HEAT MASS TRAN, 51(7-8), pp. 1516–1529. doi:10.1016/j.ijheatmasstransfer.2007.07.045 . Andriotis, A., Zifan, A., Gavaises, M., Liatsis, P., Pantos, I., Theodorakakos, A. … Katritsis, D. (2008). A new method of three-dimensional coronary artery reconstruction from X-ray angiography: validation against a virtual phantom and multislice computed tomography. Catheter Cardiovasc Interv, 71(1), pp. 28–43. doi:10.1002/ccd.21414 . Giannadakis, E., Gavaises, M. and Arcoumanis, C. (2008). Modelling of cavitation in diesel injector nozzle holes. Journal of Fluid Mechanics, 616, pp. 153–193. Tonini, S., Gavaises, M., Arcoumanis, C., Theodorakakos, A. and Kometani, S. (2007). Multi-component fuel evaporation and its effect on spray development air-fuel mixing in a direct injection gasoline engine. Proc. IMechE, Part D: Journal of Automobile Engineering, 221(D10), pp. 1321–1342. Gavaises, M., Tonini, S., Marchi, A., Theodorakakos, A., Bouris, D. and Matteucci, L. (2006). Modelling of internal and near-nozzle flow of a pintle-type outwards-opening gasoline piezo-injector. International Journal of Engine Research, 7(5), pp. 381–397. doi:10.1243/14680874JER00306 . Lee, J.W., Min, K.D., Kang, K.Y., Bae, C.S., Giannadakis, E., Gavaises, M. … Arcoumanis, C. (2006). Effect of piezo-driven injection processes on the Diesel spray structure in high pressure injector with nozzle tested by cavitation model. International Journal of Engine Research, 7(6), pp. 489–502. Mitroglou, N., Nouri, J.M., Gavaises, M. and Arcoumanis, C. (2006). Spray characteristics of a multi-hole injector for direct-injection gasoline engines. International Journal of Engine Research, 7(3), pp. 255–270. Petropoulou, S., Gavaises, M. and Theodorakakos, A. (2006). An Adjoint Method for Hole Cavitation Control Through Inverse Nozzle Design. Transactions Journal of Engines, SAE Paper 2006-01-0892, 115-3, pp. 505–513. Gavaises, M. and Andriotis, A. (2006). Cavitation Inside Multi-hole Injectors for Large Diesel Engines and its Effect on the Near-nozzle Spray Structure. Transactions Journal of Engines, SAE Paper 2006-01-1114, 115-3, pp. 634–647. Petropoulou, S., Gavaises, M. and Theodorakakos, A. (2006). An Adjoint method for controlled cavitation Inverse nozzle design. Int. J. Automotive Technology, 7(3), pp. 283–288. Arcoumanis, C., Gavaises, M, , Tonini S, , Marchi A, , Theodorakakos A, , Bouri D, … et al., (2006). Modelling of internal and near-nozzle flow of pintle-type outwards opening gasoline piezo-injectors. International Journal of Engine Research, 7, pp. 381–397. Arcoumanis, C., Gavaises, M, and Andriotis, A. (2006). Cavitation Inside Multi-hole Injectors for Large Diesel Engines and its Effect on the Near-nozzle Spray Structure. Transactions Journal of Engines, SAE paper 2006-01-1114, 115(3), pp. 634–647. Roth, H., Giannadakis, E., Gavaises, M., Arcoumanis, C., Omae, K., Sakata, I. … Yanagihara, H. (2005). Effect of Multi-Injection Strategy on Cavitation Development in Diesel Injector Nozzle Holes. Transactions Journal of Engines, SAE Paper 2005-01-1237, 114-3, pp. 1029–1045. Jinwook, L.E.E., Kyoungdoug, M.I.N., Kernyong, K.A.N.G., Gavaises, M. and Arcoumanis, C. (2004). Analysis of unsteady cavitating flows in fuel injection nozzle of piez-driven injector by Eulerian-Lagrangian Multi-Phase method. Journal of ILASS-Korea, 9(4), pp. 38–45. Roth, H., Gavaises, M. and Arcoumanis, C. (2002). Cavitation Initiation, Its Development and Link with Flow Turbulence in Diesel Injector Nozzles. Transactions Journal of Engines, SAE Paper 2002-01-0214, 111-3, pp. 561–580. Gavaises, M., Abo-Serie, E. and Arcoumanis, C. (2002). Nozzle Hole Film Formation and its Link to Spray Characteristics in Swirl-Pressure Atomizers for Direct Injection Gasoline Engines. Transactions Journal of Engines, SAE Paper 2002-01-1136, 111-3, pp. 1942–1954. Arcoumanis, C., Gavaises, M., Flora, H. and Roth, H. (2001). Visualisation of cavitation in diesel engine injectorsVisualisation de la cavitation dans les injecteurs de moteurs Diesel. Mécanique and Industries / Mécanique et Industries, 2(5), pp. 375–381. doi:10.1016/s1296-2139(01)01119-8 . Gavaises, M. and Arcoumanis, C. (2001). Modelling of sprays from high-pressure swirl atomisers. Int. J. Engine Research, 2(2), pp. 95–117. Arcoumanis, C., Badami, M., Flora, H. and Gavaises, M. (2000). Cavitation in real size multi-hole diesel injector nozzles. Transactions Journal of Engines, SAE Paper 2000-01-1249, 109-3, pp. 1485–1500. Arcoumanis, C. and Gavaises, M. (2000). Pressure-swirl atomizers for DISI engines: further modelling and experiments. Transactions Journal of Engines, SAE Paper 2000-01-1044, 109-3. Arcoumanis, C., Flora, H., Gavaises, M., Kampanis, N. and Horrocks, R. (1999). Investigation of cavitation in a vertical multi-hole injector. SAE paper 1999-01-0524, SAE Transactions, 108(3), pp. 661–678. Arcoumanis, C., Gavaises, M., Wahab, E. and Moser, V. (1999). Modelling of advanced high-pressure fuel injection systems for passenger car diesel engines. Transactions Journal of Engines, SAE Paper 1999-01-0910, 108-3. Arcoumanis, C., Gavaises, M., Argueyrolles, B. and Galzin, F. (1999). Modelling of pressure-swirl atomisers for GDI engines. Transactions Journal of Engines, SAE Paper 1999-01-0500, 108-3. Arcoumanis, C., Gavaises, M., Nouri, J.M., Abdul-Wahab, E. and Horrocks, R.W. (1998). Analysis of the flow in the nozzle of a vertical multi hole diesel engine injector. Transactions Journal of Engines, SAE Paper 980811, 107-3. Arcoumanis, C. and Gavaises, M. (1998). Linking the nozzle flow with spray characteristics in a diesel fuel injection system. Automization and Sprays, 8(3), pp. 307–347. Arcoumanis, C., Gavaises, M. and French, B. (1997). Effect of fuel injection processes on the structure of diesel sprays. Transactions Journal of Engines,SAE Paper 970799, 106-3. Arcoumanis, C., Gavaises, M., Yamanishi, M. and Oiwa, W. (1997). Application of a FIE computer model to an in-line pump-based injection system for diesel engines. Transactions Journal of Engines,SAE Paper 970348, 106-3. Gavaises, M., Theodorakakos, A., Bergeles, G. and Brenn, G. (1996). Evaluation of the effect of droplet collisions on spray mixing. P I MECH ENG C-J MEC, 210(5), pp. 465–475. Gavaises, M. and Bergeles, G. (1996). Validation of a spray model for diesel engine calculations. Entropie, (N 200), pp. 43–52. Arcoumanis, C., Fairbrother, R.J. and Flora, H. (1996). Development and validation of a computer simulation model for diesel fuel injection systems. Proceedings of the Institution of Mechanical Engineers, Part D: Journal of Automobile Engineering, 210(2), pp. 149–160. Arcoumanis, C., Gavaises, M., Bostock, P.G. and Horrocks, R.W. (1995). Evaluation of pump design parameters in diesel fuel injection systems. SAE Technical Papers. doi:10.4271/950078 . Gavaises, M., Theodorakakos, A. and Bergeles, G. (1995). Modeling wall impaction of diesel sprays. INT J HEAT FLUID FL, 17(2), pp. 130–138. Arcoumanis, C., Gavaises, M., French, B. and Horrocks, R. (1995). Evaluation of the effect of pump design parameters on nozzle exit characteristics. Transactions Journal of Engines, SAE Paper 950078, 101-103.
surfaces. Advances in Colloid and Interface Science, 260, pp. 46–64. doi:10.1016/j.cis.2018.08.004 . - ME3151 Internal Combustion Engines, module leader 2007-present. - EPM766 Internal Combustion Engines, module leader 2007-present. - ME3152 Dynamics, part contribution on vehicle aerodynamics, 2003-present. - ME1109(2) Thermodynamics I, module leader between 2001-2012. - AE3213 Computational Fluid Dynamics, part contribution on incompressible flows 2003-2012. - EPM764 Engineering Applications of CFD, module leader 2002-2007.